Payment Adjustment Range from a -7% up to a +7% ! 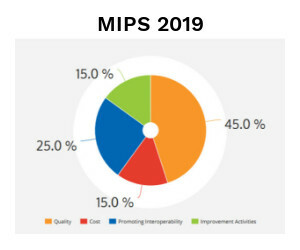 A new option has been added for MIPS 2019- the ability for a provider to “opt-in”. 2019 brings new challenges and changes for Practice Partner, Medisoft Clinical and Lytec MD EHR users. There are new and different requirements requiring changes to your software, and your workflow. Most importantly the bonus payment and or penalty payments have increased substantially. Interested in AVS Medical MIPS Consulting?